Have you ever felt like you’ve taken the backseat in your own life, like it’s happening to someone else? That nagging sensation of powerlessness, like there’s nothing you can do to improve. When even the best electrolyte supplement cannot help you get in the groove. Like you’ve become too set in your ways, it cannot be helped. For most of his life, thought this way. Though always active and practicing team sports like lacrosse and baseball, he never felt the need to push himself towards becoming better. Brendan was comfortable not pushing himself further. He did alright in athletics, never excelling, never committing to a strict regime. Like so many people, he didn’t eat well, and at one point weighted 350 lbs. It was a laid-back attitude that even made Brendan lose people in his life. As he wasn’t always around, out and about, some friends grew tired along the way. For years, his life had a mild sense of discomfort. And then, something broke in him. One day, Brendan woke up and said it: no more. He didn’t want to be that man anymore. Taking control of his life wasn’t easy. Breaking years-long unhealthy habits, particularly regarding eating and workout discipline, was difficult. Through small and significant sacrifices, Brendan was learning how to live the best life he could. The one he deserved to have. He hit the gym every day and instantly started seeing results. It was a time of injuries, as his body learned how to take the hit, the movement. There was pain, but there was also a lot of satisfaction. He hit numerous plateaus and then overcame them, losing 100 lbs on the way. One plateau seemed insurmountable: Brendan was stuck in the same weight for nearly two years. For a time, he told himself that was it: this might the best shape he could be. But that wasn’t enough for Brendan. He wanted to prove himself further, move the goalpost a little higher. But how? It was his girlfriend and rock, Erika, who did the trick. A type-1 Diabetic, she began training hard for a half marathon. Brendan decided to run alongside Erika and had an incredible realization: he couldn’t keep up! 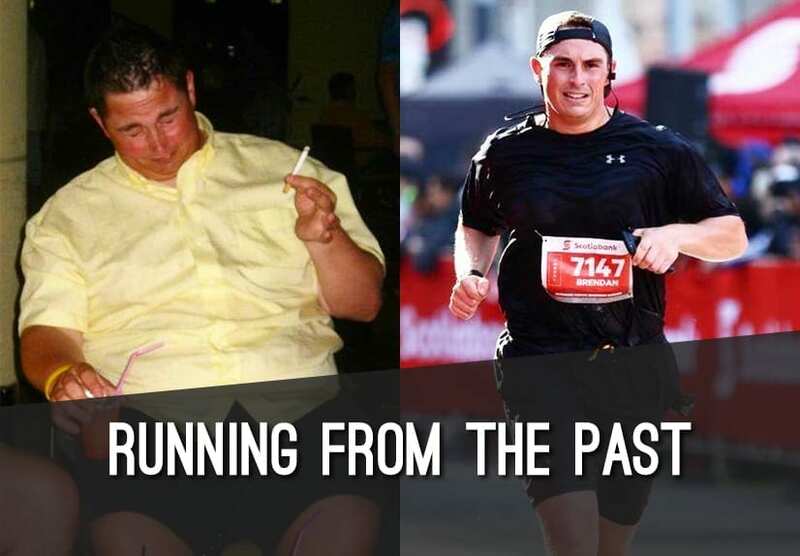 After spending years in the gym, running was a completely different challenge, and he struggled to run one mile. But with the determination that had driven him to his first significant lifestyle change, 1 mile turned into 5k, and then 10k. With hydration supplements in hand, Brendan’s aerobic capacities went through the roof. He accompanied Erika through her journey, the proudest boyfriend in the world. As Brendan cheered for Erika at the end of the race line, he wondered if he could accomplish what she had. That little voice on the back of his head made him wonder. And like a story from decades past, the answer came to him from winning radio contest: he now had the entry for a half marathon! The race was only four weeks away, and Brendan’s little voice kept asking: is this a prize or a death warrant? At this point, he was a 200lb man, one who’d reinvented himself two times over. A man on a mission and accompanied by his trustworthy supplements for dehydration, he trained like crazy for that whole month. Brendan was all hope and determination. When the day of the half marathon arrived, Brendan didn’t know what to expect of himself. He had pushed so many boundaries, could this be the thing that beat him? Fat chance. Not only did he finish the half marathon, but he also crushed it. Finishing at 1h:34m, Brendan came 34th in the whole event, and 3rd in his age category. Not a bad performance for a man who was 350 lbs only a few years before! For Brendan, running has become a philosophy: he’s running from the past, from being stuck in a rut, from feeling powerless about his life. 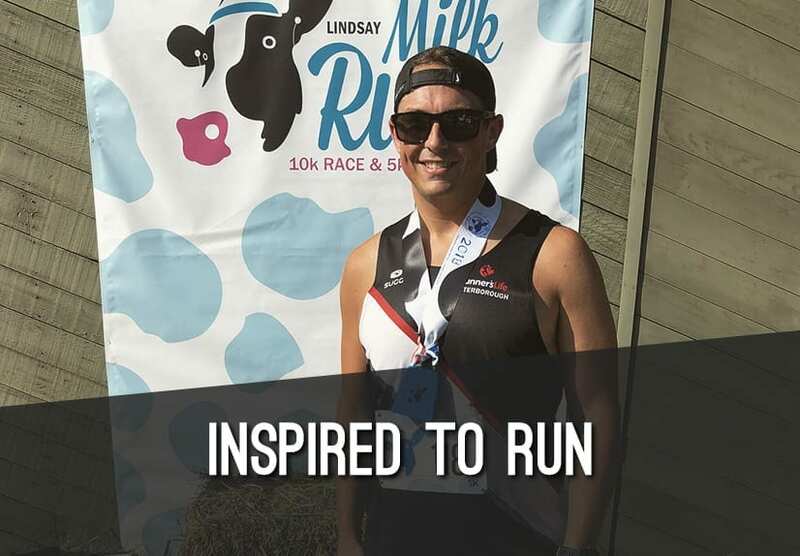 He keeps training to improve his half marathon time, and his goal is completing a full one. There’s no stopping Brendan now, after everything he’s accomplished, always accompanied by electrolyte supplements for runners. Read more about Brendan’s incredible and ongoing journey on his Instagram!